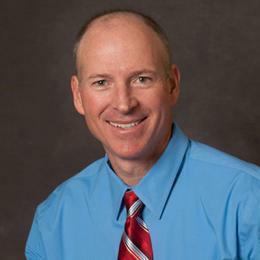 Wyatt Hall MD, FACEP, is the Medical Director at Centura Health Emergency and Urgent Care Center - Avon in Avon, CO. He is also the Immediate Past Chief of Staff at Longmont United Hospital in Longmont, CO, and an attending physician at Centura Health Emergency and Urgent Care Center – Frederick in Frederick, CO. He has been with USACS (Legacy Long Peaks Emergency Physicians) since 1999. Dr. Hall obtained his Undergraduate, Graduate, and Doctor of Medicine at Rutgers University in New Jersey. He finished an Internship in Internal Medicine at St. Joseph’s Hospital in Denver, CO. He completed his Emergency Medicine Residency at Denver Health Medical Center in Denver, CO.
Dr. Hall is a Fellow of The American College of Emergency Physicians. He is certified in Advanced Trauma Life Support (ATLS), Advanced Cardiac Life Support (ACLS), and Pediatric Advanced Life Support (PALS).